Look at Pikachu! 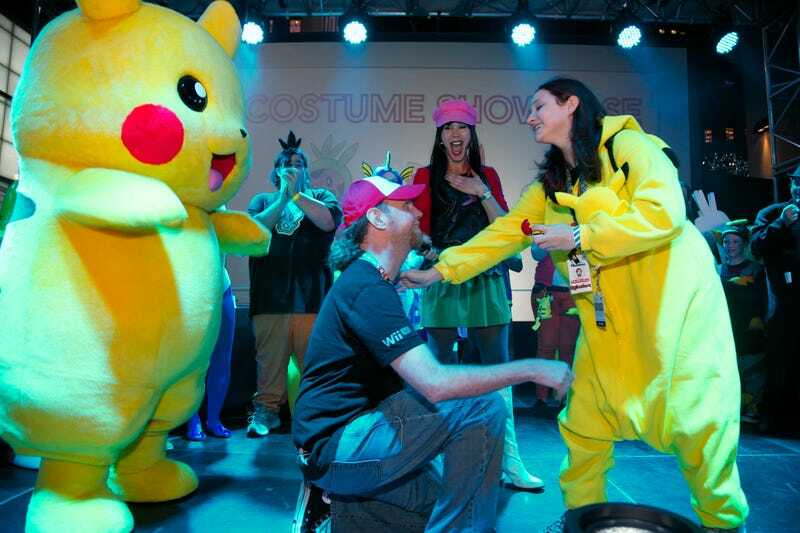 I mean the little (well, big) fella looks legitimately fired up by this marriage proposal last night Nintendo World's gala event for the launch of Pokémon X and Pokémon Y. Fiancée, I choose you! This couple, Debbie G. and Jeff W. are the co-founders of Long Island's StreetPass club. And yes, she said yes. Editor's note: Reader TRT-X points out that the ring was presented in a Pokéball, which definitely wins style points. Nice job, Jeff!